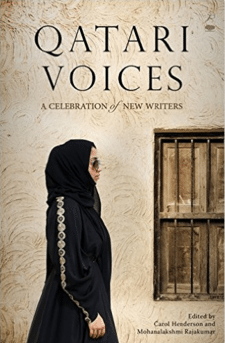 Qatari Voices is the first internationally published anthology of writing that represents 21 young creative Qatari authors. The anthology reflects the concerns and aspirations of the young Qatari generation illustrated in essays and stories.They are distilled from the first two volumes of the Qatar Narratives series, produced locally in the capital city of Doha. For more information on the anthology as well as the role it played as one of the first e-books by Bloomsbury Qatar Foundation Publishing, click to see media coverage in English and Arabic.